Cultured Marble comes in a limitless variety of colors. Unlike other materials, cultured marble is permanently sealed and keeps a consitent pattern and tone. 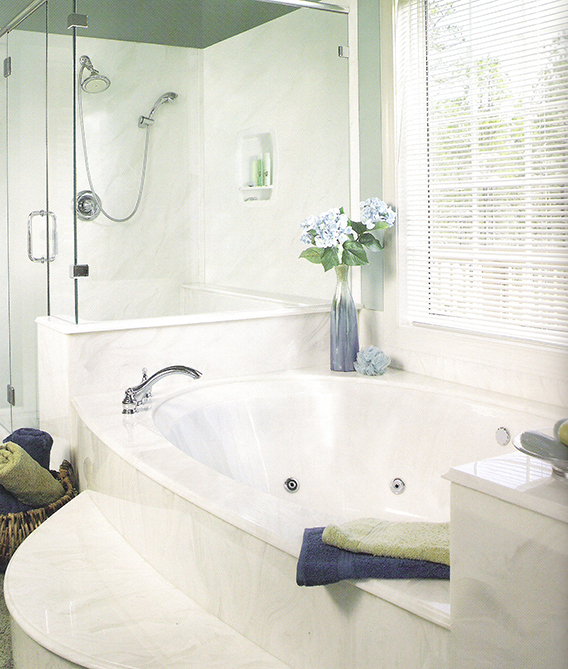 Cultured Marble feels warmer to the touch and is lighter than natural stone. It is stronger and more durable than plastic. It’s natural beauty is built to last. The surface is strong and non-porous. The bath materials deliver strenght and beauty in surfaces that never require sealing and do not promote creation of bacteria, mold or fungi like other materials can. Cultured Marble provides exceptional design flexibility; with its soft angles, gentle curves and decorative edges – let sinks and vanities merge into a single, dramatic shape. Cultured Marble is custom designed and created to your specific needs. Another advantage to cultured marble is its resitance to stains. It is one of the easiest materials to maintain. 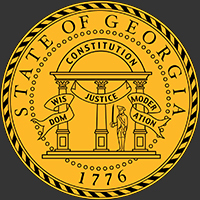 Mold and Mildew do not grow on its surface. Scratches and burns can be easily eliminated. With Cultured Marble, every detail lies within your control. 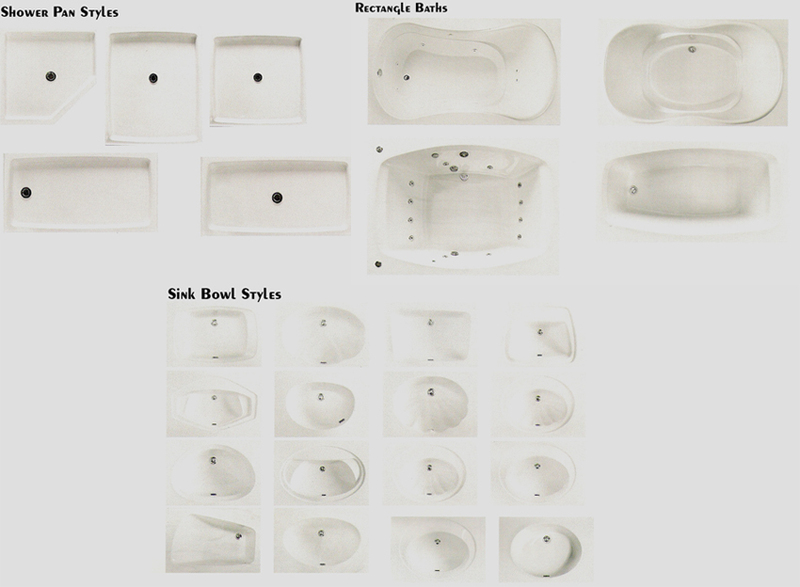 Select a decorative trim that enhances the decor of your bath. When it comes to your bath’s details, the options are all yours.